Myopia, better known as nearsightedness, is a condition in which you have better near vision than far vision. Maybe your lunch in front of you is easy to see and looks clear, but the menu board several feet away from you in a restaurant is blurry; that's myopia. It's a very common condition and is easy to control with glasses or contacts. Austin Vision Center in Austin can give you an eye exam to determine if you have myopia. What Is Myopia and How Is It Treated? As mentioned, myopia is when you see things that are near you better than things that are far away. The condition results from having an eyeball that is actually too long from front to back. Your lens and cornea may be fine and transmitting images as they usually would, but the extra length of the eyeball means that the point of focus of the image is in front of your retina, rather than on it. Sometimes a thicker lens or an excessively curved cornea can be to blame. Why myopia forms still isn't clear. It is clear that once it starts, apparently from lack of being outside or from doing too much up-close work, that it doesn't go away. And researchers don't know why being outside is so critical to preventing myopia. They still aren't sure whether it's sun exposure or another factor that affects eye health. Myopia can be mild or severe, also called "high myopia." In both cases, glasses or contacts are usually necessary; those with high myopia need to be careful about retinal detachment. Surgery is also an option to correct myopia. Signs of myopia include not being able to see clearly at long distances; while even normal vision will become blurry when you look too far away, if your friends can all read signs off in the distance and you see only a blur, that's a sign of myopia. If you experience headaches or eye fatigue after trying to look at things in the distance, those too could indicate myopia. Controlling myopia is simple, and the good news is that it often stops growing stronger when you're an adult. It doesn't always stop, though, so you still need to monitor your sight. A comprehensive optometry exam is the first step toward diagnosing myopia; you'll also be fitted with glasses or contacts. 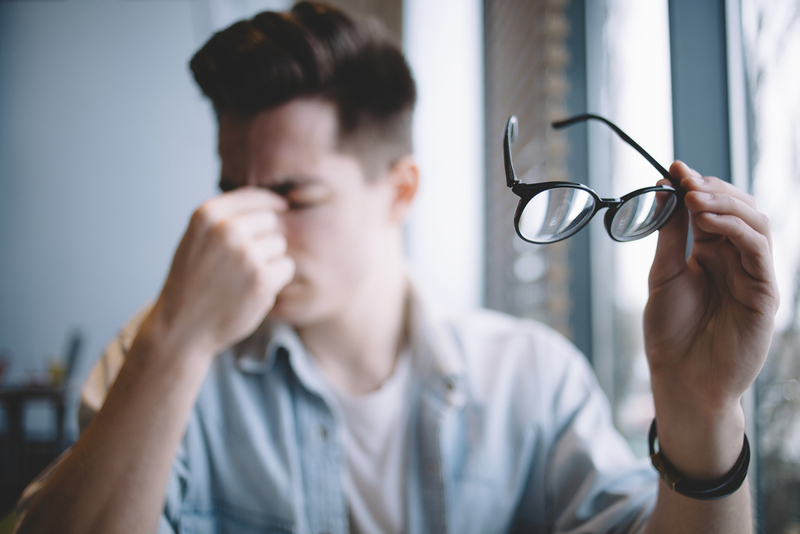 Austin Vision Center in Austin can arrange for you to have a thorough optometric evaluation so you can find out why your eyes feel tired and your long-distance sight is blurry. Call us at (512) 477-2282 to arrange a consultation.